Burnaby, BC, October 1 2018 – Parent Support Services Society of BC is proud to announce that Adrienne Montani, is the 2018 recipient of the prestigious Bill McFarland Award for the Excellence in the Advancement of Child Welfare. Adrienne Montani, is best known for her work with the First Call: BC Child and Youth Advocacy Coalition. She has been with First Call since 2000 and became the Provincial Coordinator in 2005. 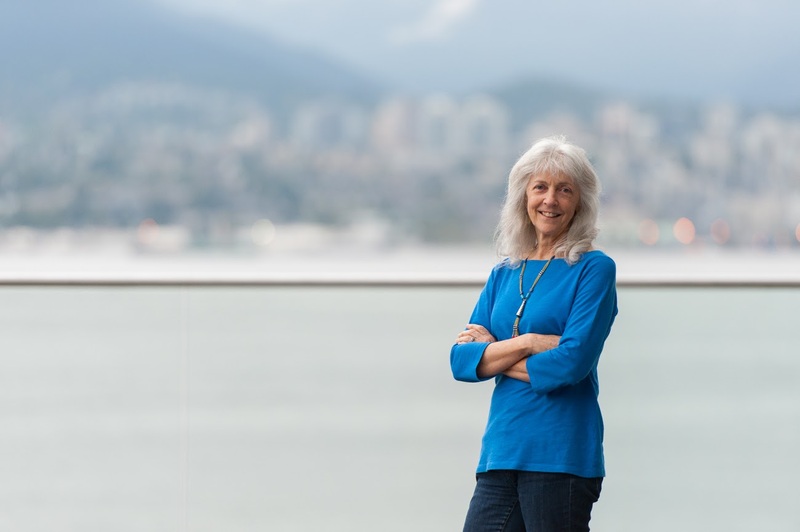 Prior to working with First Call, Adrienne served as the Child and Youth Advocate for the City of Vancouver, and as Chairperson of the Vancouver School Board for three of her six years as an elected school trustee. Some of her earlier leadership positions included serving as the executive director of Surrey Delta Immigrant Services Society and of Big Sisters of BC Lower Mainland. During Adrienne’s tenure as Provincial Coordinator, First Call has become the leading voice advocating for the children and youth of BC. One piece of their work, the Child Poverty Report Card, explores the impact of large numbers of children and their families living in poverty. The annual report card contains the latest statistics on child and family poverty in British Columbia. Every year this report card includes a list of recommendations that would make a real difference to the size and depth of BC’s child and family poverty problem. This award is named after, Bill McFarland. Bill was an advocate for children throughout his life and social work career. His achievements include: founder of the Alberta Foster Parents Association, the National Federation of Youth in Care Networks, and Parent Support Services Society of BC. In addition he was a member of the Berger Commission, a consultant to the Gove Inquiry, and a recognized expert on the Young Offenders Act. Bill was appreciated by all who worked with him for his integrity, compassion and tireless efforts toward the care and welfare of all children. The award ceremony will be held at Parent Support Services Society of BC’s Annual General Meeting. October 1st – 5 pm. And will be located in our offices at 204-5623 Imperial Street, Burnaby BC.